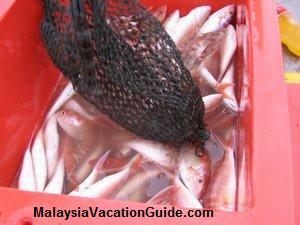 Head for Beserah in Pahang if you have yet to see the typical day of a fishermen in the east coast. 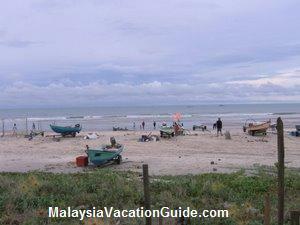 This fishing village is located near Pantai Batu Hitam beach and is located about 10 km away north of Kuantan. The fishermen usually go out to he sea in groups and come back with their daily catch in the afternoon. The fishermen boats that were parked at the beach. 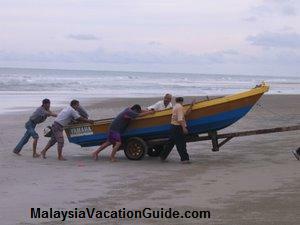 Pulling the boat and catch of the day to the shore. As the boat come back with the catch of the day, you will see the spirit of co-operation there when the people from the village will go towards the boat and help the fishermen pull their boats up to the shore. Buffaloes are then used to transport the fish to the market nearby for distribution to the fishmongers. 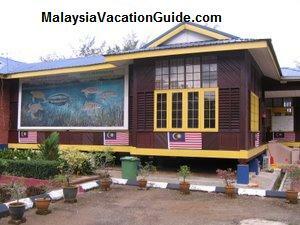 While here, try to mingle around with the local people and the fishermen. 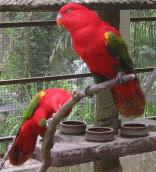 They are usually friendly and warm even though they may look rugged and tough. 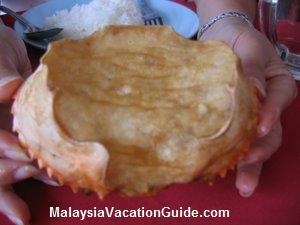 Most of them are dark due to the effect of the sun while going out to the sea. 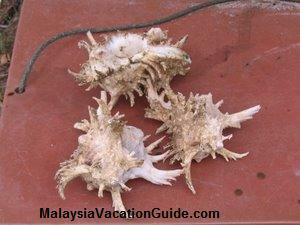 If you are fortunate, you may even get to buy some sea shells directly from the fishermen. Some may even give you an item or two for free. The fish that were caught are placed in a container with ice to ensure their freshness before reaching the consumers at the market nearby. Shells that can be used for decoration in your house after cleaning them. If you would like to take a swim at the beach, do so only when the sea is not too rough and not during the month from November to March. These months are the time when the North Easterly wind blows from the South China Sea and it is dangerous to swim at this time of the year. 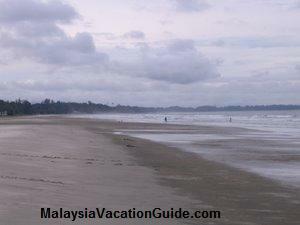 Pantai Batu Hitam is a popular beach that the locals go to during their free time. 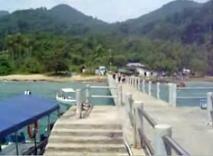 There are stalls that sell finger food such as fried sausages, keropok lekor and drinks on this beach. 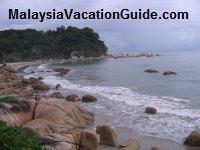 The word "Hitam" means black and the beach is rightly named so as the sand here is black in colour. The black sandy beach at Pantai Batu Hitam. 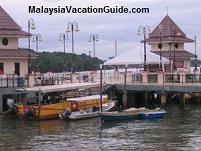 Other attraction in the vicinity include the Kuantan River Cruise at the city of Kuantan. 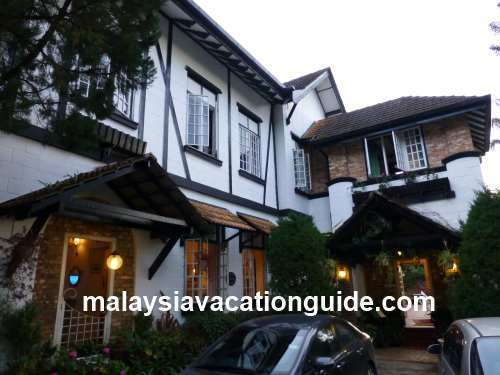 Drive further north and visit Cherating Turtle Sanctuary, a place where turtles are being hatched and cared for beforebeing released into the sea.